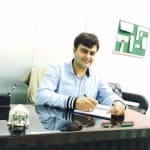 Dr. Ankit Sharma is a homeopath and a dentist in Vasant Kunj, Delhi. She has had an experience of 6 years. Currently he is based at dental hub and implant centre in vasant kunj, Delhi. He has completed his BDS from Maharshi Dayanand University (mdu) in the year 2010. Dr. Ankit Sharma specializes in Aesthetic dentistry and cosmetic dentistry. He is a professional member of Indian Dental Association. Dr. Ankit Sharma is an expert in Tetracycline Staining treatment, toothache treatment, artificial teeth treatment, applying braces, applying ceramic braces, dental check-ups, teeth scaling & polishing, dental check-ups, tooth extractions and dental fillings.